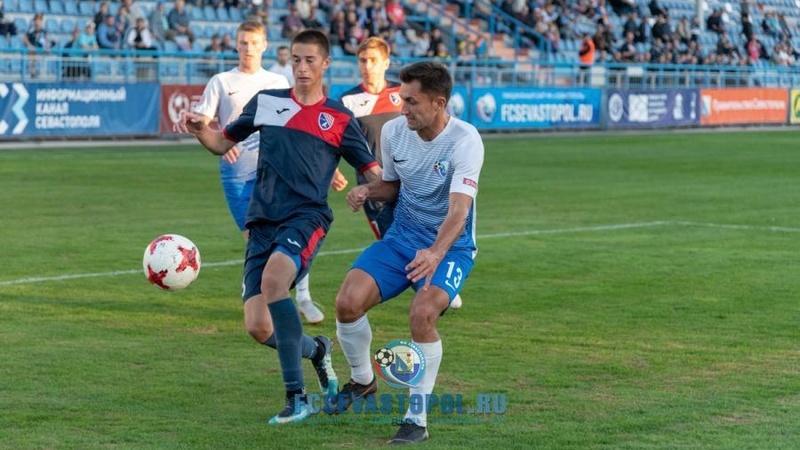 The matches of the 9th tour of Crimean football union Premier League championship season-2018/19 were at the peninsula on last weekend. "Incomsport" Yalta hosted FC "Yevaptoriya" at its home on Saturday, October 13. The team from Yalta was ahead in the count after well-placed shot of Ianis Linda in the 28th minute. "Incomsport" increased its advantage before the half-time: Ivan Frolov distinguished himself in the 40th minute. The team from South coast of Crimea made the score devastating at the second half: Vladislav Aleksin was accurate in the 81st minute. Yevpatoriya won back one ball after that: Dliaver Nuridinov masterly hit from penalty area in the 84th minute. But Alan Tsaritov scored fourth ball of his team in the 86th minute. 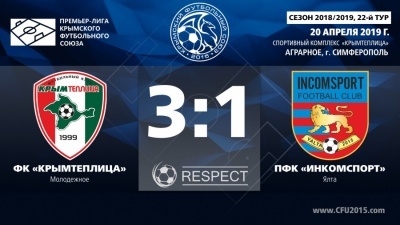 As result 4:1 – confident win of "Incomsport". Let us note, that "Incomsport" headed by Oleg Kolesnikov, achieved third win in a row. Three more matches were on Sunday, October 14. "Ocean" minimally won in Kerch from "Gvardeets" from Skvortsovo, Simferopol district. 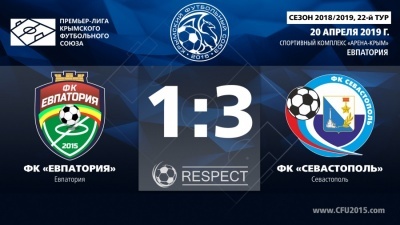 Kerch took the lead thanks to the goal of Anton Vinnikov in the 15th minute, and Artem Shcherbak from Kerch doubled the advantage of his team in the 26th minute. The away team scored only once at this opposition: Andrey Kirsanov distinguished himself in the 59th minute. As result 2:1 – "Ocean" wins. The central match of the tour was in Sevastopol, local same named club hosted "TSK-Tavriya" Simferopol there. The away team opened the score after the hit of Azamat Ataev in the 15th minute. 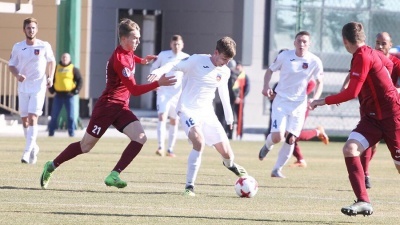 "Sevastopol" managed to win back at the second half: Matvey Guiganov restore the balance in the 60th minute. One of the Simferopol’s attack ended in 10 minutes by own goal of Petr Oparin, and Anton Pencheliuzov made finally assist of this duel in the 84th minute – 3:1, "TSK-Tavriya" wins. And match in Agrarnoe, Simferopol ended the tour, "Krymteplitsa" Molodezhnoe hosted "Kyzyltash" Bakhchysaray there. As hard as both teams try, bur supporters didn’t see the goals at this match – a draw, 0:0. The situation at the standings looks very tensely after the games of the 9th tour. The teams which located from 2nd to 7th places separate only three points. 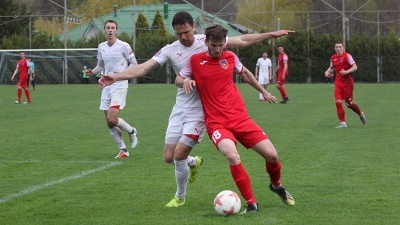 The metropolitan "TSK-Tavriya" strengthened its position at the standings and continues to lead with 19 points on the asset. "Krymteplitsa" locates at the second place (14 points), "Yevpatoriya" is at the third line (13), "Incomsport" rose to the fourth place (12), "Sevastopol" is at the fifth position (12), "Kyzyltash" is at the sixth line (12), "Ocean" is at the seventh place (11 points) and "Gvardeets" is closing the standings, it scored only 5 points. The matches of 10th tour will be on October 20 and 21. There will play on October 20: "Kyzyltash" – "Ocean", "Gvardeets" – "Sevastopol" and "Yevpatoriya" – "Krymteplitsa". 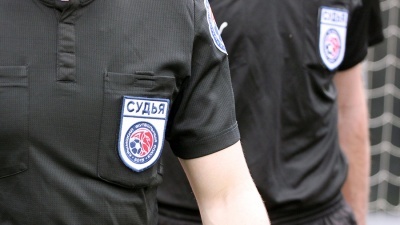 One match will be on Sunday, October 21 – "TSK-Tavriya" – "Incomsport".